What does the OZ Naturals Vitamin C Face Serum do? As a powerful antioxidant, vitamin C helps to prevent and repair cellular damage, caused by the damaging effects of free radicals present in air pollutants, cigarette smoke and many foods in our diet. Vitamin C is proven to be thoroughly absorbed through our skin and studies have shown that maximum absorption is achieved with a 20% vitamin C solution. The Oz Naturals Vitamin C Face Serum is an anti-aging serum, which helps replenish your body’s ability to fight cellular damage, regenerates skin cells and increases the moisture in your skin. 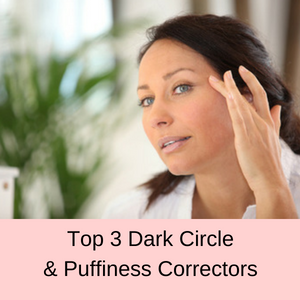 All of these functions result in a more youthful looking and fresher, less tired appearance. Promotes the production of collagen. Gives your skin a smoother texture. Fights free radicals and reduces sun damage. Fades age spots and sun spots. No parabens, sulfates or phthalates. Who should use Oz Naturals Vitamin C Facial Serum? 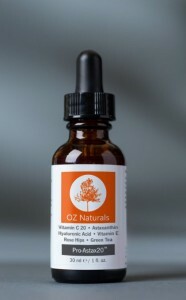 The Oz Naturals Vitamin C facial serum can be used by women of all ages and any skin type. 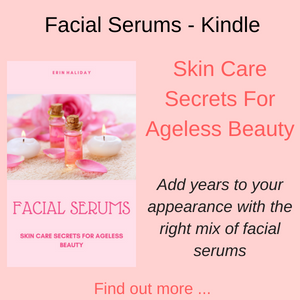 You can use the facial serum as a preventative measure, to help delay the signs of aging or to minimize damage that has already occurred, due to free radicals and a lack of hydration. This vitamin C facial serum is great for dry or sensitive skin, dull complexions, acne prone skin or those with eczema and of course, ladies with fine lines and wrinkles. Facial serum for oily skin: If you are looking for a facial serum for oily skin, this vitamin C serum is absorbed quickly into your skin leaving no oily residue or sheen on your skin. Facial serum for dry skin: If you suffer from excessively dry skin, then this facial serum will not only reverse the signs of aging in your skin, but the hyaluronic acid helps to increase the capacity of your skin to retain moisture, giving your skin a fuller and healthier look. How do you use the Oz Naturals Vitamin C Face Serum? Once you have cleansed your face and your skin is still damp, apply a thin layer of the serum to your face and neck areas. 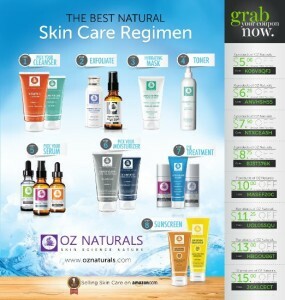 The Oz Naturals website, tells you to pat your face dry before applying the serum, however I have seen it suggested elsewhere that you achieve the most benefits when the serum is applied to damp skin. 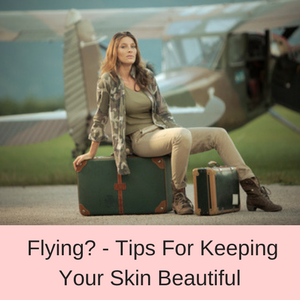 Once the serum is dry, you can apply your moisturizer and makeup. When you first start using this product, it is best to apply it every other day, then every day, aiming for twice a day, morning and night. There is no time frame on achieving twice a day, just progress slowly to give your skin time to assimilate the serum. Bottle with dropper, 1 fl oz (30mls). The Oz Naturals Vitamin C Face Serum has four key ingredients that together help to reduce fine lines and wrinkles and re-hydrate your skin: 20% vitamin C, hyaluronic acid, amino acids, and organic jojoba oil. All ingredients are natural and organic. The Oz Naturals Vitamin C Face Serum is 100% vegan and is not tested on animals, is cruelty free, paraben, sulfate, lanolin, mineral oil and GMO free. The serum does not contain alcohol or parabens and are produced in an FDA certified facility in the US. If you are searching for an organic facial serum, then this vitamin c facial serum is 72% certified organic with 98% natural ingredients. Hyaluronic acid is naturally produced in our body and is found in our skin, connective tissues, nerves and brain. 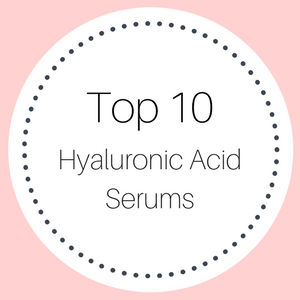 Hyaluronic acid benefits include a profound ability to aid in the repair and healing of tissues, and because it absorbs more than 1000 times its weight in water, it is a great skin hydrator. 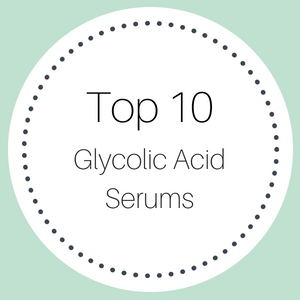 So in general, Hyaluronic acid is commonly used in skin care products, such as moisturizers, lotions and serums, because it aids in skin hydration and improves skin elasticity, giving us a more youthful, vibrant and fresher look. Vitamin C also helps in the repair and replacement of our tissues and cells, but is also a strong antioxidant which blocks the damage to DNA, caused by free radicals. 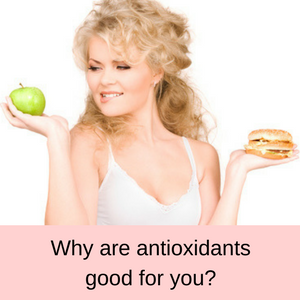 Free radicals can damage collagen and elastin fibers in our skin and as an antioxidant, vitamin C helps to prevent wrinkles and other signs of aging in our body. 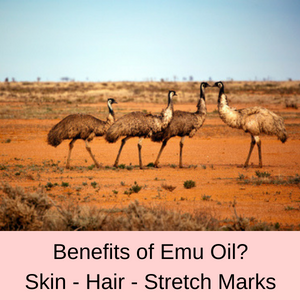 It also plays a key role in the production of collagen, which gives our skin the ‘plumped-up’ look of youthfulness. The Oz Vitamin C Serum has an amino blend, which is necessary to produce proteins and collagen and helps in tissue repair and wound healing. Specifically, the OZ Naturals facial serum contains (2s)-2-Amino-5-guanidinopentanoic acid (also known as L-arginine) which is crucial in maintaining healthy skin. 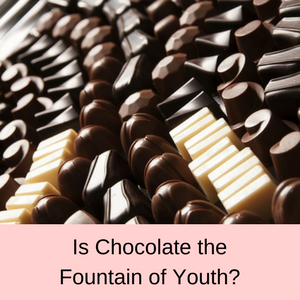 You might be interested to know that in 2010, a study published in the Journal of Advanced Research, concluded that L-arginine has significant anti-aging properties in our body. Jojoba oil contains wax esters, which aid in hydrating our skin, hair and nails. As we age, our production of was esters reduces, allowing moisture to escape from our skin, contributing to the signs of aging. The jojoba plant is the only plant known to produce wax esters and contains powerful antioxidants, omega 6 and 9 fatty acids and vitamins A, D and E. Jojoba oil helps to restore our skins youthful complexion. PROS: Currently, there are more than 7000 reviews on Amazon for this vitamin C facial serum and 80% of these reviews give it a 4 or a 5 star rating. 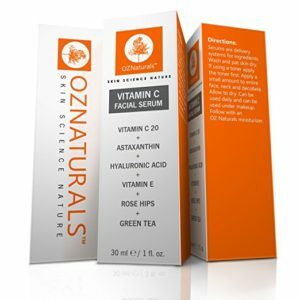 The overall consensus is that the Oz Naturals Vitamin C Face Serum has no side effects, is not an overnight cure and is the best product women have found to reduce the signs of aging. Customers have noted a more youthful and fresher look to their skin, a reduction in the fine lines around their eyes, a reduction in acne and a softer and more moisturized feel to their skin. There are lots of reviews from women with sensitive skin, who have found that they have no problem using this product. CONS: Of the few negative reviews, a few gave this vitamin face serum only 1 star rating and their main concern was that after one month, they had experienced none of the advertised benefits. I began using it a week ago, and I can already notice a subtle difference: face looks more fresh and radiant. It’s easy to apply and not sticky or greasy. I love how this product makes my face feel and look! It is definitely better than a lot of similar products. So I have been using this product for almost 2 weeks now and i’m in shock! My little wrinkles around my eyes are waaaay less noticeable! Let’s just say it’s my new best friend. I love using this Vit.C Serum. Its clean, its fresh and not only that its natural. My face feels so good after putting this on. No longer does my face look dull and dry but now there is a certain brightness to it that wasn’t there before. Does the OZ Naturals Vitamin C work? 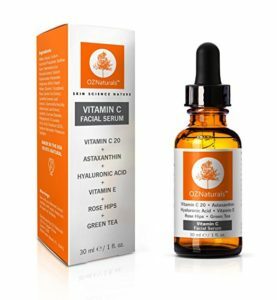 The overwhelming majority of customers are more than happy with the results they have received from using the Oz Naturals Vitamin C Face Serum. 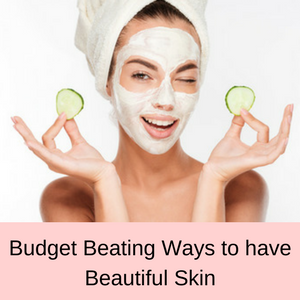 Their skin looks and feels lusher and healthier with more of a glow and vibrancy, fine lines and wrinkles are minimized and their face has less of a tired and drawn appearance. This product is more focused on vitamin C than hyaluronic acid, in comparison to the OZ Naturals Hyaluronic Acid + Vitamin C Serum, which is focused more on the hyaluronic acid component. As a pair of serums they are designed to complement each other, with the Hyaluronic Acid + Vitamin C Serum aimed at super hydration first and collagen production second, whilst the Oz Naturals Vitamin C + Hyaluronic Acid Serum focuses on reversing free radical damage and repairing our collagen layers first and hydration second. 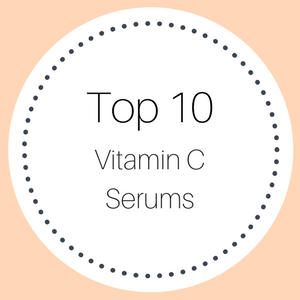 Read more of my Vitamin C Serum reviews here. Sievers attorneys want jury members identified in courthouse, have solo interviews Naples Daily NewsSievers defense attorney file several motions, one that argues the death penalty is unconstitutional and others concerning the jury pool.